The best ideas start from the ground up. 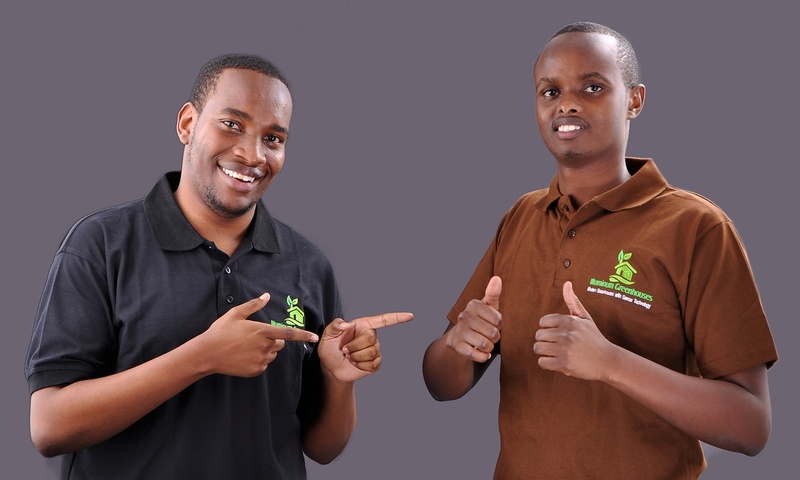 That’s how Brian Bett and Taita Ng’etich, best friends whose parents are farmers, stumbled upon an innovative idea to integrate modern technology into traditional farming. While in college, the two Kenyan students ran out of money. Deciding not to ask their parents for funds, they embarked upon starting a business–and began farming. In the town of Loitokitok at the foot of Mount Kilimanjaro along the Kenya-Tanzania border, they collaborated with four other students to grow tomatoes. Just their luck, a disaster arose when floods wiped out their entire crop. The floods, however, turned out to be serendipitous. The four other students bailed on the project, leaving Bett and Ng’etich to figure things out on their own. The two continued on and their perseverance led to their novel idea of a greenhouse business that uses technology to alert farmers about their crops’ conditions. Of course, this innovative idea came in stages. Like all projects, there was no overnight success but lots of trial and error. Failures before successes. Rather than expose the crops to a range of weather conditions and subject them to the threat of another flood, they opted for building a greenhouse to offer a more controlled environment. Built from the ground up, their greenhouse constructed using wood and metal cost about 1,000 dollars, compared to the 3,500 dollar price tag for most ready-to-purchase units for sale. Seeing their custom-made greenhouse, it didn’t take long before neighbors asked Bett and Ng’etich to construct greenhouses for their personal use. And soon the demand gave birth to their company Illuminum Greenhouses. Like in any community, there is dialogue between the manufacturers and the customers. Farmers gave Bett and Ng’etich feedback. The most common complaint was the drip irrigation system many of them used wasted loads of water. 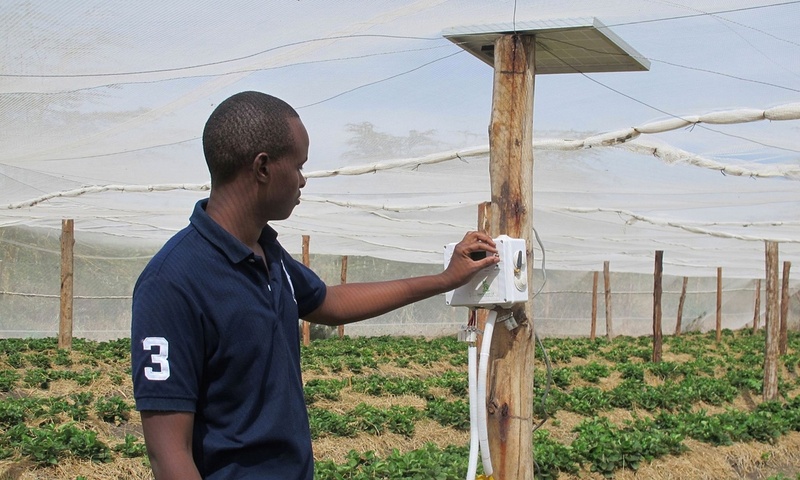 Back to the drawing board, Bett and Ng’etich redesigned their greenhouses to equip them with sensors that monitor temperature, humidity, and moisture. The sensors also send text messages to farmers if they need to make any changes to the growing conditions. They fitted the crop irrigation systems to enable them to be turned on and off by text message. These innovations allow farmers to reduce waste and water usage. An impressive environmentally sound project, the entire greenhouse runs on solar power. The demand for these greenhouses will no doubt increase all over Kenya and beyond to the entire continent. And what better way for the environment to remain healthy than for Africans to continue to innovate ways to harness the natural energy of the sun. 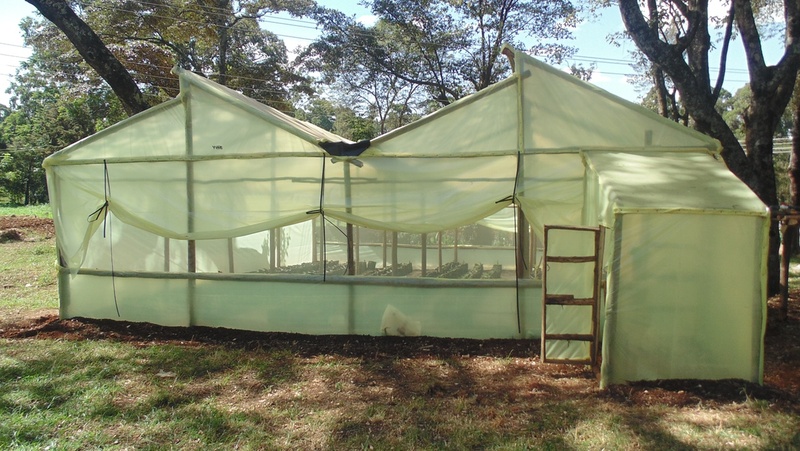 Since their greenhouses have caught national and international attention, Bett and Ng’etich received the top prize in Nairobi’s Seedstars competition and continue further develop their greenhouses. Our governments will do well to fund and support more bright youth to propel innovations with solar technology, farming, and entrepreneurship for a Africa’s vibrant future. Always happy to hear good news from Africa.